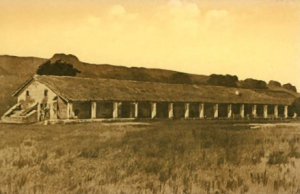 Mission Santa Clara, located in Santa Clara, approximately 40 miles southeast of San Francisco, was the eighth mission in the chain. 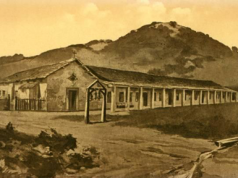 Founded in 1777 by Father Serra, the mission was important as the second of two settlements placed near the great San Francisco port to protect it from enemy attack or occupation. 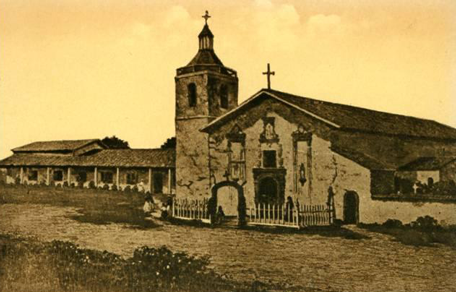 Mission Santa Clara de Asis, located in Santa Clara, approximately 40 miles southeast of San Francisco, was the eighth mission in the chain. 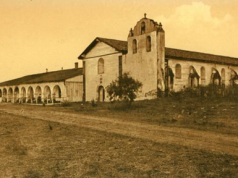 Founded in 1777 by Father Serra, the mission was important as the second of two settlements placed near the great San Francisco port to protect it from enemy attack or occupation. The Indians in the area were friendly but spent their time at thievery-playing a game to see how much they could steal from the mission without being caught. 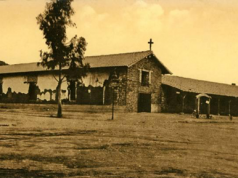 Mission Santa Clara is located on the grounds of the University of Santa Clara. The university is the only one in the state affiliated with a mission due to a relationship, which goes back to 1851, when the school was first established in the neglected remains of the church. The present day mission is a mix of new and restored buildings. Olive trees planted by the first padres still grow in the gardens inside the adobe walls. These gardens at Mission Santa Clara contain more of the original flora than at any other mission. Well, since I’m doing this mission as a report this website helped me a lot.